Will Romney Run Again in 2016? According to a recently conducted poll in Iowa, former Republican Presidential candidate Mitt Romney is the only Republican who would beat Democrat Hillary Clinton if the 2016 election were to be held today. According to the poll, Romney would top Clinton by a narrow 44% to 43% if the US Presidential election were to be held today. If Romney were to decide not to run in 2016, the poll concludes that the Republican with the next best chance of winning would be Paul Ryan, as he would narrowly lose to Hillary Clinton by a single percentage point. Rand Paul, Chris Christie, Jeb Busy, Marco Rubio and Ted Cruz would all fall to Clinton as well according to the Iowa poll. Mitt Romney has previously ruled out another Presidential run though he reportedly may be warming to the idea. 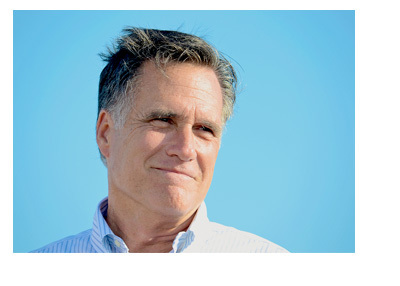 According to the Washington Post, Romney has "huddled with prominent donors and reconnected with supporters in key states in recent months". While this doesn't necessarily mean that Romney is running for President again, it certainly doesn't do anything to disprove the idea. Former Romney opponents, including Tim Pawlenty, have gone on the record as saying that they would like to see Romney take another run at the Presidency. The general consensus is that there is not a clear front-runner in the current crop of Republican hopefuls that could pose a meaningful threat to Hillary Clinton in 2016. Mitt Romney is seen as being that person. Though Romney lost to Obama in 2012, the former Governor of Massachusetts has seen his popularity swell, largely due to his prescient predictions during the 2012 election and the continuing struggles of President Obama. For the right, the United States would be in a much better position right now if Romney had won in 2012. As of right now, the general train of thought seems to be that Romney may throw his hat into the ring if a clear front-runner for the Republicans hasn't revealed themselves by mid-to late 2015.